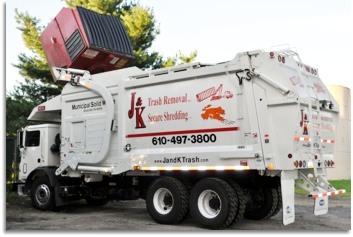 At J&K, we are committed to keeping your business running smoothly when it comes to waste removal. With our reliable and expert service, we are your waste solution. Not only do we offer the best service in the industry, we also offer the best rates. Call today to inquire about our rates and to set up an account suitable to your needs. We specialize in institutional, industrial, and commercial waste removal. We have the ability to service schools, industrial complexes and other large scale operations.